Uber is one of the favorite taxi apps among Millennials and now we have yet another reason to love this company. Uber is launching food delivery services, making it easier than ever to get your favorite fast food treats. Uber now has two different sectors of food delivery, UberFresh and UberEats, which are located in LA and Barcelona, respectively. The ridesharing company plans to expand both of these services to other cities around the world, although they have not yet revealed which cities they will be going to next. If you're unaware of Uber's current delivery services, UberFresh and UberEats are two different names for something that's more or less the same service. Both offer food delivery that will arrive to your door in 10 minutes or less — a vast improvement over most delivery services, many of which can often take up to an hour to arrive. In the Uber app, you can go to the UberEats or UberFresh menu and select dishes for either lunch or dinner that change weekly. Uber works with Plateselector in order to determine what dishes will be offered on their virtual menus. Since this service is run through the Uber app, it uses the card you have on file to charge you for your food, which is designed for efficiency. Although you probably think of Uber as being a car service, it is actually a company that specializes in innovation around logistics, according to a company spokesperson. 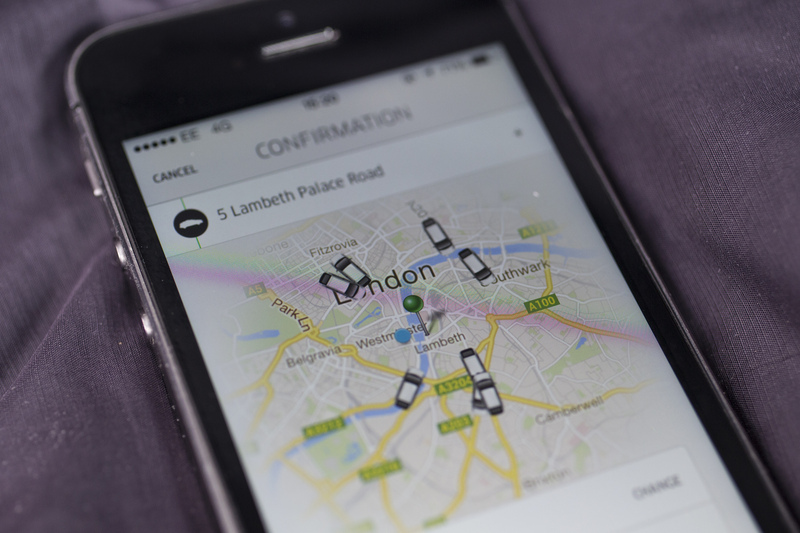 “Uber is a technology company, and innovation is what we do.... We are always exploring different on-demand services and UberEats is one example of the innovative potential of our technology," the Guardian reported. The expansion of their food delivery is just one of many expansions the company is going to be unrolling in the near future, in order to show that they are a lead innovator in this field. Since Uber has announced the expansion of UberEats and UberFresh and is “working hard to expand to other neighborhoods soon," but not naming any names, you'll have to wait to see if the service is coming to your area. In the meantime, I know I'll be sending out positive vibes to the universe in hopes of it coming to my city. Here are just a few of the reasons we might celebrate the presence of UberEats in our city. UberEats offers a wide variety of food selection that other food delivery services don't, as a peek at their menu will show. On April 10, some dishes the app offered to bring to you in 10 minutes included barbecue pulled pork mac and cheese and chocolate potato chip cookies. Talk about delicious! When I go to order food for delivery, I'm usually on the verge of starvation. I hardly ever order in anticipation of hunger, but rather do it when I'm already ready to chow down. That's why the typical thirty minutes to an hour wait time that delivery services offer can be such a bummer, since no one wants to wait that long for their food to arrive! Only having to wait 10 minutes seems a lot more reasonable. Since Uber's food delivery service takes place through the main app, it saves a lot of time for the customer, especially in terms of payment. I always dread the moment I have to dig through my wallet and read my credit card number three times back to make sure it's correct when entering my information to pay for my food. This feature will eliminate that pain and make ordering as easy as eating! Since UberEats offers lunch, brunch, and dinner service, you now have actual delicious food options you can chow down on while you're working or in meetings, instead of the usual bagel from the bodega down the block. Since many of us don't have time to take a proper lunch break during the work day, this will allow you to eat well while still staying productive.